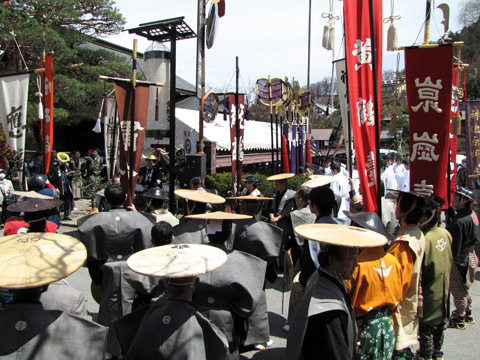 The people who had participated in the parade were doing the ceremony in front of Otabisyo. 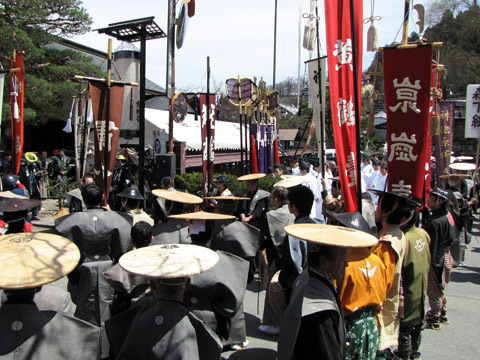 The yatai name is sequentially read out, the person who has the flag advances ahead, and something has been received. Tokeiraku was demonstrated in side.